Hidden in plain sight. Moving from place to place as a loosely connected group of opportunistic artists and creative squatters, in 2005 the Invisible Circus pitched up in Bristol. They put on large-scale, large-cast shows in an old Audi garage and Clifton's Pro-Cathedral before being encouraged by the Council to take on the Island, an old fire and police station together occupying a whole block of the city centre. 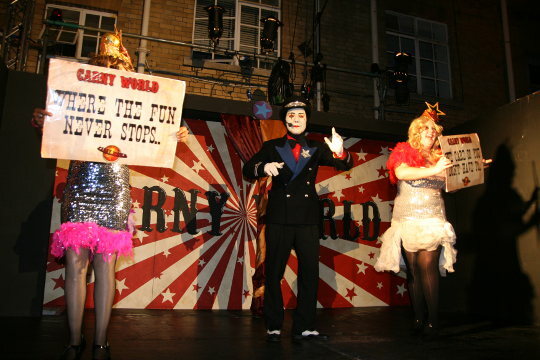 They stayed there four years, famously putting on several versions of their massive, immersive Carny-Ville, before moving again to Bristol's Paintworks, their current location.